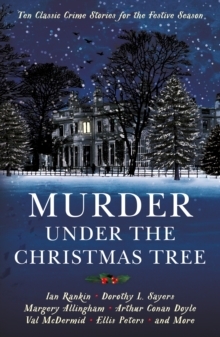 Murder most festive…A locked room mystery solved with a flourish on Boxing Day. Blackmail on Christmas Eve. A missing jewel discovered in a very festive hiding place. A body slumped in a chair on Christmas morning, still listening to carols. The midnight theft of a gift intended for a saint. Crime doesn’t take a holiday, so these – and many more – are the puzzles that make up Murder under the Christmas Tree, a collection of festive mysteries featuring fictional sleuths from Lord Peter Wimsey to Sherlock Holmes, Cadfael to Father Brown.